On the track at Timonium. Photo by The Racing Biz. 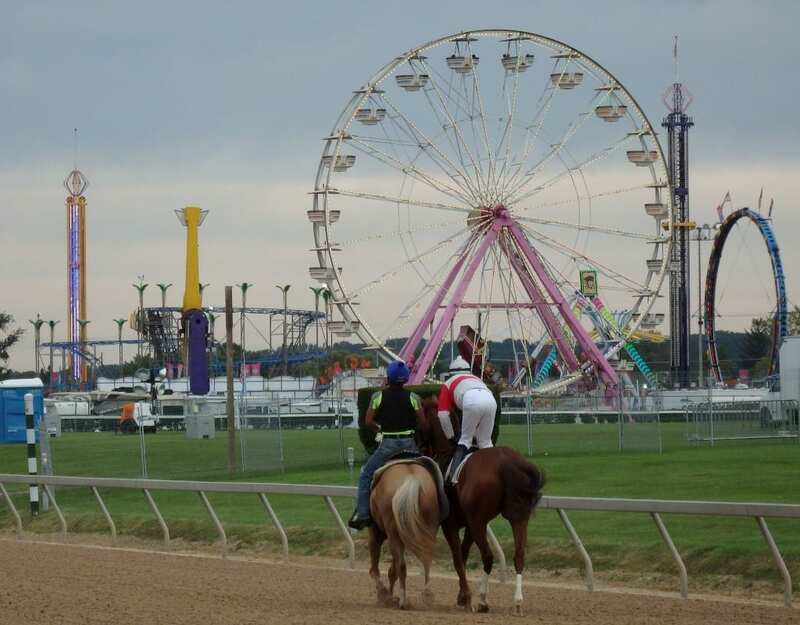 The GQ Approach features full-card selections from Timonium Fair Grounds for the 7 days of live racing during the Maryland State Fair (Aug. 24-26; Aug. 31, Sept. 1-3), Post Time 1:05pm EDT including a daily Best Bet, Longshot Play, and multi-race wagers — including the 20 cent Jackpot Pick-6, 50 cent Early and Late Pick-5s, as well as Pick-4s and rolling Doubles, Pick-3s and the Super High-5. #3 – Enterprising Value (6-5): Destroyed competition by 10 in latest going a furlong shorter than today; can she win going longer? On Saturday, August 25 at Laurel had 5 winners from the 10-race card (2 Top Selections; payoff in BOLD below). Of the suggested multi–race wagers, none were hit. 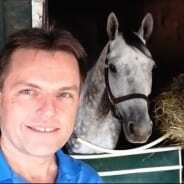 BEST BET of the Day (105:28-28-9; in 2017 119: 39-25-19) Any Darn Day (3rd race: 4-1 M/L; 5-2 PT) bumped with IWISHIWASPECIAL leaving the starting gate, raced three wide the first turn, was put to the whip leaving the backstretch, circled the far turn three wide, faltered late to finish fourth. LONGSHOT PLAY of the Day (102:16-20-11; in 2017 107: 18-13-15) Hurler (6th race: 6-1 M/L; 7-2 PT) no threat, passed tired horses. IT’S A PLANE, three deep the first turn, disputed the pace, raced two wide the far turn and faded in the drive while finishing in a DEAD HEAT for fourth.